A lot of the career advice tips for teens on the internet revolves around values, interests, and skills. When I was a teenager, I had no idea of what values were. I was interested in golf and could list my skills as good at golf and not much else really! Even when you are in your 20’s and 30’s, I think the above questions don’t magically conjure up your ideal career. The below are the practical career advice tips for teens that might be more beneficial than the generic stuff on the internet. It can be easy to get overwhelmed with all the career advice websites on the internet. One trick is instead of plotting your next move, try and work backwards from your desired outcome. Get a list of companies/organisations you would be excited to work for. i.e. Nike, Supreme, Ralph Lauren, Apple, Tommy Hilfiger, Coca-Cola, Sony, etc. Then research these companies. Do they offer graduate programmes or apprenticeships? Is there info about working there on the careers section of their website? For the open vacancies on their websites, google the job title to see what they entail. Do they sound interesting? Try and talk to young people who work there. Linkedin is great for this. You can type in ‘Finance Analyst’ and ‘Nike’ into Linkedin and you will get loads of results. Send them a message and ask them what it’s like to work there. They will be only too willing to help as they were in your shoes a few years earlier. Working backwards helps to fill in the blanks. 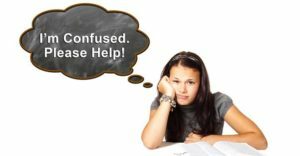 You have so many options as a teenager, this method helps you be a bit more targeted in your approach. People will give you advice when you are young. This doesn’t necessarily mean it’s good advice, or they are right. In my 20’s, I sought out advice from lots of people older than me. Some of it I found very useful and really resonated, but a lot of it didn’t work for me. Nowadays, everyone is telling you to start your own business on Instagram/YouTube and make millions. Some of it is inspiring stuff, and anything that makes you think outside the box is always good. However, it may work for a small percentage of people, but you don’t see all the people who have tried and failed. 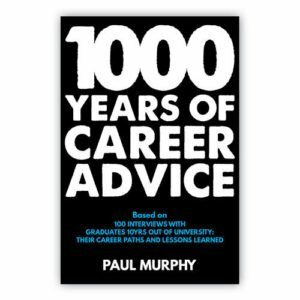 I interviewed 10 entrepreneurs for my book ‘1000 Years of Career Advice’, and all of those guys work long days, and have stressful lives. They are always thinking about their business 24-7. Being an entrepreneur isn’t for everyone, some people like to leave the office at 5 and switch off. Also, be wary of relying on what young people on company websites tell you about their job. I’ve seen a few of these for junior finance roles. They are so staged. They don’t tell you the real story of what their job entails. Anything on a company website is going to portray the company in the best light possible. It’s not going to tell you about the bad points. The way to ensure you are not getting bad advice is to ask as many people as possible. If you get career advice from 5-10 different people, you will soon realise what’s good and not so good. Ask people who are in their 20’s who will remember what it was like to be in their teens. They will often give you much better advice than your parents or teachers can as they know the uni/grad scene much better. Ask lots of people; that way you get more of a balanced view. The idea of a having a lifelong career is going away. In 5-10 yrs time the world of work will be very different. Lots of menial jobs will be automated and skills will become even more important. It can be easy to coast through a few different jobs in your 20’s and not really pick up that many skills. I got some great advice by a senior exec once when I asked him for career advice. He told me to not be so focused on what the next role is; instead focus on what skills you are going to learn and acquire. Lots of my finance colleagues can do great things in excel and powerpoint but not much else. If you focus on developing skills i.e. public speaking, influencing, marketing, sales, customer service, project management, delegating, networking, problem solving, as best you can early on, you’ll find you will be quickly become better than your peers. You will also be a lot better placed to deal with the ever-changing workplace. Tyler Cowen one of the world’s top economists thinks that skills like ‘Sales, Marketing, and Management will become even more important in the future as computers won’t be doing those things for us’. He believes that ‘future job descriptions will be quite fluid and unpredictable’, and thinks being good with people and an ability to get things done will always get you very far. When you are in your teens you might think you have no network. You do! Friends of the family, Aunts/Uncles, people in sports clubs, contacts of your teachers, parents or your friends, etc. Let’s say you are 19 and want to get some work experience in a solicitors’ office. The chances are your parents, family, teachers will know someone who works as a solicitor and can arrange for you to come in for a week or two. Even if it’s just for one or two weeks it will really open your eyes. A friend of mine interviewed in my book, had never set foot in a solicitors office until after she qualified as a solicitor. 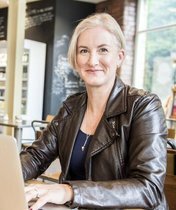 10 yrs on she hates her job and now realises how foolish she was not doing any work experience. All the 100 interviewees in the book cannot emphasise how beneficial work experience is. You may not want to go work in an office for a week in your teens. However, you will get paid very well compared to stacking shelves or working in a bar/restaurant, and it will put you streets ahead of your peers. They will increase your confidence and social skills. Dealing with people older than you, customers, having responsibility – all of this will develop you much more than studying/exams ever could. They will look great on your CV and make it much easier to get jobs in the future. When applying for other jobs; you will be able to talk about the skills and achievements from previous jobs. Your peers who haven’t worked previously won’t be able to. The reason I say do several different summer jobs is so that you can contrast the jobs/experiences. Let’s say you get a job working in a bar one summer and an office the next. You like the bar job, but hate the office job, maybe that helps you plot your next career move? One friend of mine worked in the bank JP Morgan for a summer when he was 18, and then worked in a small mortgage broker the next summer. He hated JP Morgan, and then thought he hated all finance jobs. However, the mortgage broker was lots of fun and he really enjoyed the work. The more varied summer jobs you do, the more impressive your CV will be to future employers. If you don’t want to work all summer, that’s fine. Work for 6 weeks and take the rest of! You’re only young once! Also, I think the best summer jobs are the customer facing ones. You will learn so much in dealing with customers. If you are dealing with customers on a daily basis, your interpersonal skills will increase 10x. Attracting and retaining customers are the key to any successful business. If you can learn this at a young age, the world is your oyster! As mentioned, lots of young people take advice from their teachers, parents etc. These people might know something but a professional will know so much more. He/she will deal with lots of teenagers wondering about their careers every day. Why wouldn’t you tap into this available resource? Make sure you get a good one. Find someone on google that has a very impressive background with great ratings/recommendations. If that person isn’t local it doesn’t matter; do a skype session. Get your parents to pay for a session and see how much value you get from it. You have absolutely nothing to lose and everything to gain. When you are in your teens it’s tough to know what your strengths and weaknesses are. There are lots of free tests you can do on the internet which will provide some insight. I’ve done a few of them and find the Buzz quiz on icould.com quite good. At no cost, it gave me more or less the same results than an expensive Myers Briggs personality test that a former employer paid for. When I was in my teens I had preconceptions about every career. It turns out I wasn’t the only one. 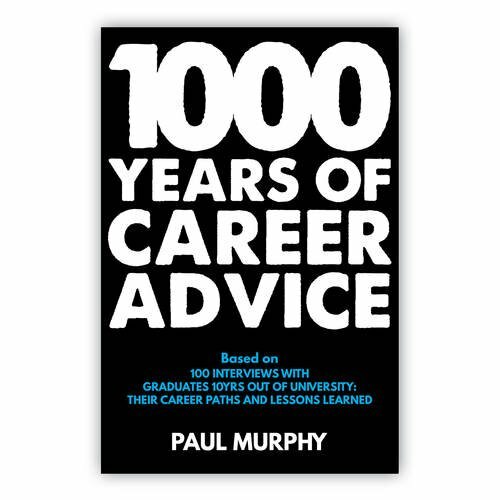 Lots of the 100 people I interviewed in my book ‘1000 Years of Career Advice’, thought working in their chosen profession would be a certain way, but when they started working it wasn’t that way at all. All of the solicitors I interviewed for my book commented that working in law and studying law are two very different things. Many of them said that if they could go back in time they would have chosen a different career. Quite a few of the engineers I interviewed thought that engineering would involve the practical application of maths to construction problems. In reality, engineers spend a lot of time tweaking reports on a cold damp building site. If you are interested in something in school, try and find out as much as you can about what it’s like to actually work in that area. People don’t ask. They are too shy, too lazy, too afraid of rejection. 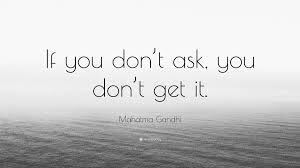 Ask as many people as you can for advice, the more successful the better. Nowadays with Linkedin, you have access to thousands of very successful people that you can message at the click of a button. Why wouldn’t you tap into this resource? Let’s say you want to be a football coach when you grow up. Many of the top coaches in the football leagues of England will have Linkedin profiles. Set up a profile for yourself, message them and ask them for advice. Even looking at their career path, and how they got to where they are now will help you so much. Lastly, I would say look for role models. Taking the football coach example, find some of the best ones on Linkedin, and google everything about them. For the top ones, you will find interviews, biographies, their favourite books, their role models on the internet. If you really want to be a football coach, pick 5 role models who are the best of the best, and try to be like them. Learn from them, do what they do, act like they act. You might be surprised where it leads you. This tip comes up again and again from the most successful people I follow. With YouTube and Instagram so big now, our attentions spans are decreasing all the time. We want info in easy to digest chunks, and don’t have the time to invest in reading books. I think if you can set aside some time to read it’s one of the best things you can do in your life. If you want to be successful, do what successful people do; read. Many of today’s billionaires have reading lists on their websites. The best investment you can make is investing in yourself. Blinkist app summarises the worlds best non-fictions books to save you time. There are also great book summaries on YouTube. 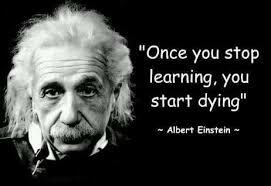 Lots of people stop learning after they leave school. If you can keep learning new skills and valuable info beyond your school and university years, you will go very far in life. This is a huge one. Playing sports, or being a member of a club will give you so much; teamwork, confidence, camaraderie, networking skills, leadership, humility, discipline, etc. Even if you are not sporty, get involved in a club/group/charity. These days there is clubs/groups for everything. It will look great on your CV, and will give you some great life skills. I played a lot of golf as a kid. I practised lots, played on teams, won, lost, made goals, had role models, and stepped out of my comfort zone lots – all of that stuff is really transferable into your life and career. Do you ever think that school is pointless? Why are you being forced to learn theorems, languages and medieval history? You are never going to use any of that stuff in the real world, are you? You may be right, but it is simply a means to an end. At your age, that’s hard to see. Spending time with people a few years older than you will help you realise this. When you are 16-18 and studying for exams, you think they are the biggest thing in the world! Then you get to university, and think those exams are the biggest thing in the world. Then you start working and you realise all your studies weren’t as important as you thought! Life continues like that as you get older! Do you have any cousins, neighbours that are a few years older than you? Go chat to them, ask them how they got to where they are now? What advice would they give you? What shortcuts can you take that will save you time and effort? Seek out these people, the more successful the better. Success leaves clues! For example, university may not be for you, maybe you would be more suited to an apprenticeship? It’s only by talking to people in university and in apprenticeships that you can try to figure this out. With the cost of university now, if you try it for one year and don’t like it, it can be an expensive year that you could have avoided. Lots of the 100 interviewees in my book chose a university course / graduate program / or even profession because their friends were doing it, or it was the safe option. If you are picking something make sure you are doing it for the right reasons. One interviewee in the book Wayne, didn’t know what he wanted to do after school. He asked himself why he was even going to uni? The only reason he was going to go was to have a good time, not because he had any academic/career plans. So, he got a contract job in an office for 8 months of the year and went travelling for the other 4 months. After a couple of years doing this, he realised he wanted to work in finance and did his professional exams while still taking summers off travelling. When his friends were graduating uni, he was nearly a qualified accountant. He is now a Finance Director for a global media company. Try to ask yourself, what is the real reason you are doing something? Is it the means to an end? Or are you just doing it for the sake of it? With university so expensive these days, it’s definitely worth considering all your options.